More than 100 social workers participated on expert panels to revise and/or develop 25 NASW policy statements over the last two years. These statements were recently voted on and approved by the National Association of Social Workers’ (NASW) key policymaking body, the Delegate Assembly (comprised of 277 professional social workers who represent NASW’s diverse membership). Policy topics ranged from human trafficking, transgender and gender non-conforming people to social work licensure and title protection. NASW policy statements set the parameters for NASW’s positions on a broad range of public policy and professional issues and are featured in Social Work Speaks, a comprehensive collection of policies. As NASW moves forward, NASW is seeking experts to actively serve on panels for the following policies (see below) that we anticipate reviewing beginning in 2017. If you have expertise in the following social work practice areas, you may be able to serve on an expert panel revising an upcoming policy Statement. Please send an email identifying the policy name, a short biography (50-100 words) and a resume to NASWpolicy@socialworkers.org by September 22. Get more information on the recently released Social Work Speaks, 2017 eBook Update. 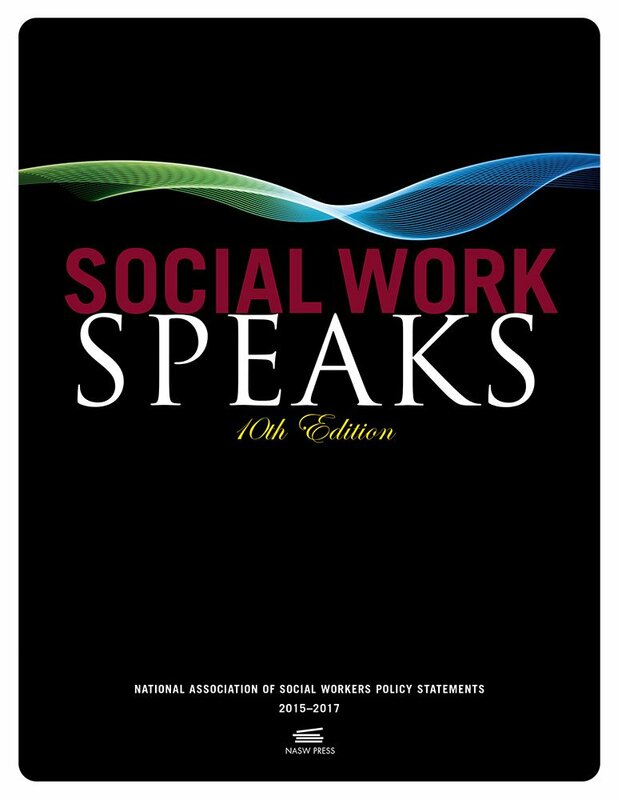 Get more information on Social Work Speaks, 10th edition. To make suggestions for the development of new policy statements and/or revision or elimination of existing policy statements visit this web page. I am interested in Mental health of children, adolescents and young adults. Pardon the typos and the length of my response. I am interested in working with the panel on juvenile delinquency and prevention. My experience in the field includes work for the St . Louis and St .Louis County Juvenile Courts, Mdirectr first Missouri group home for delinquent youth, ‘Yoith Opportunities Unlimited for young adults who had been involved with the Juvenile Court, worked for St.Louis County Youth Prevention Prevention Program’ for prevention of substance abuse and delinquency prevention, commitee member of Juvenile Justice committee for Missouri Council on Criminal Justice, board member, treasurer and Vice President of Missouri Juvenile Justice Association. I’M SORRY I HAVEN’T SEEN MORE OF AN INTEREST IN BOTH POLICY AND ADVOCACY. WITH TOPICS NOT ONLY AROUND USE BUT ALSO AROUND RECOVERY. TOO MANY YOUNG PEOPLE ARE STILL OUT THERE DYING AND BELIEVING THERE IS NO HOPE. LETS HELP GIVE THEM THAT HOPE. My specialty is working with the mental health and well-being of refugees and asylees. Would this be included in the topic of Indigenous People? It could be included in this area. Please email NASWpolicy@socialworkers.org to determine the best subject area to share your much-needed expertise. I’m interested in Mental Health and Foster Care & Adoptions. Hello, I will be sending my resume for the juvenile justice & delinquency prevention category. I have 25+ years of experience working with adolescents involved in, and impacted by, the system as well as working on systemic and policy issues. I am interested in the Sivereignty, Rights and Well -Being of Indigenous Peoples. Will send further information. I’m interested in mental health/substance use disorders, elder issues and hospice. Have worked in all of these areas! I am wondering why integrated health has not been included as a topic to be reviewed when integrated health is forever changing. Social workers are often the leaders of integrated health teams in clinical, hospital, & medical home settings. Kimberly, I wholeheartedly agree! I think it is so important to address integrated/interdisciplinary care. I am hoping that this will be a topic soon and would be very interested in serving on a panel. I’m unclear from this post if you are looking for experts only on the topics listed in this post, or on all of the policies in the 10th edition. Please clarify. We are specifically looking for experts on the topics listed in this post as they are the ones we anticipate updating in the near future.